The subject property is a secondary jungle about 1km from Selesa Hillhomes. Access is good, with tar road leading to the subject property. The front portion is flat but the middle portion and the back portion is on a small hill. 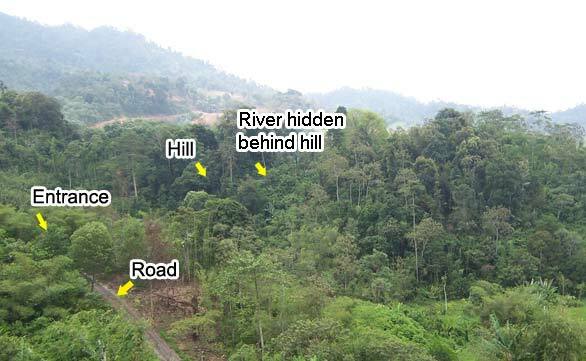 The back portion drops down toward a river which is hidden in the above photo. There are going to be some government development very near to this property very soon.